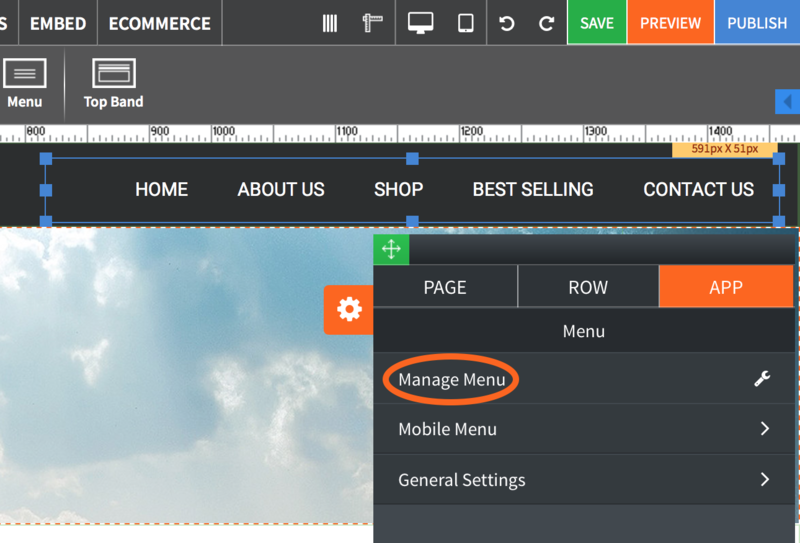 Double-click on the Menu items of your site. In the Settings pane under APP tab choose Manage Menu. 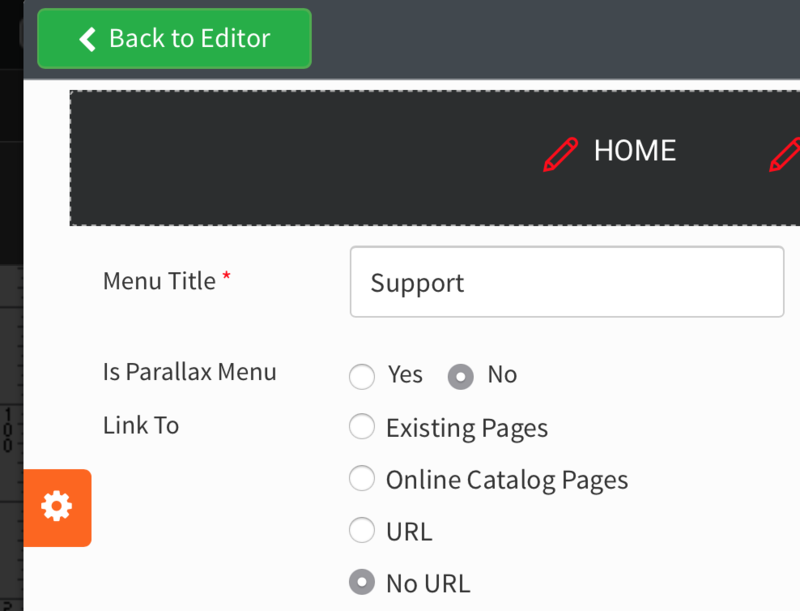 Menu Links allows to edit existing menu items and create new menus for your site. Menus can be linked to both internal pages and external websites. Type in the desired menu title. 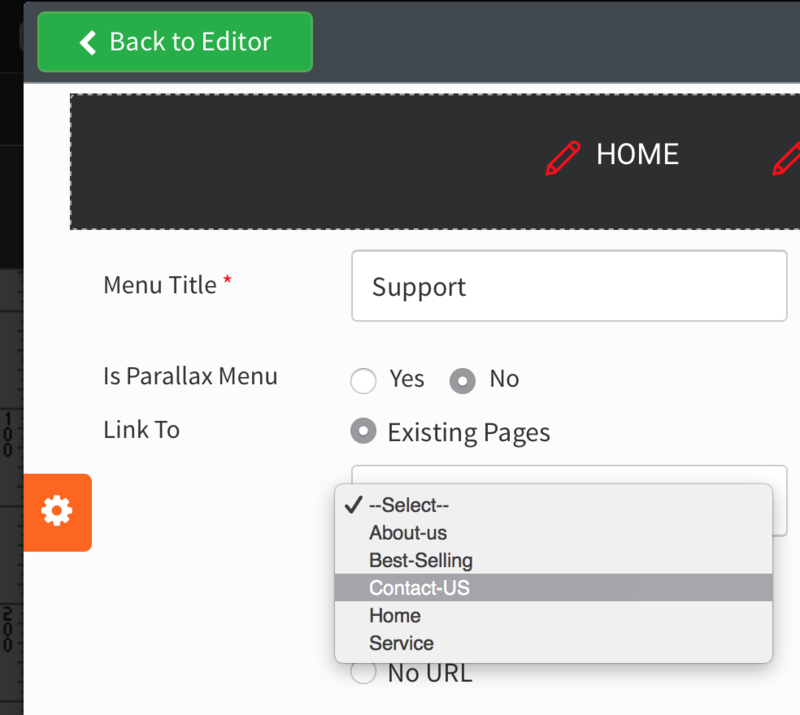 Choose Existing Pages to link the new menu to an existing page on your site. Pick a page to link the new menu to from the dropdown. 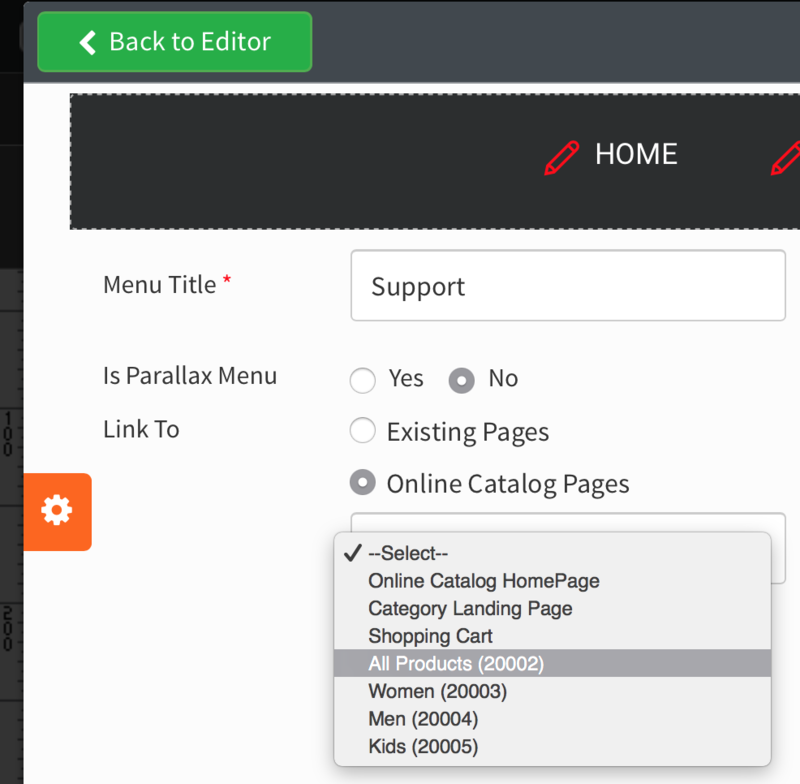 Choose Online Catalog Pages to link the new menu to one of the catalog pages on your site. Pick an online catalog to link the new menu to from the dropdown. Choose URL to link the new menu to an external web-page. Type in the url of the external web-page to link the new menu to. Choose No URL to not link the new menu to anything. 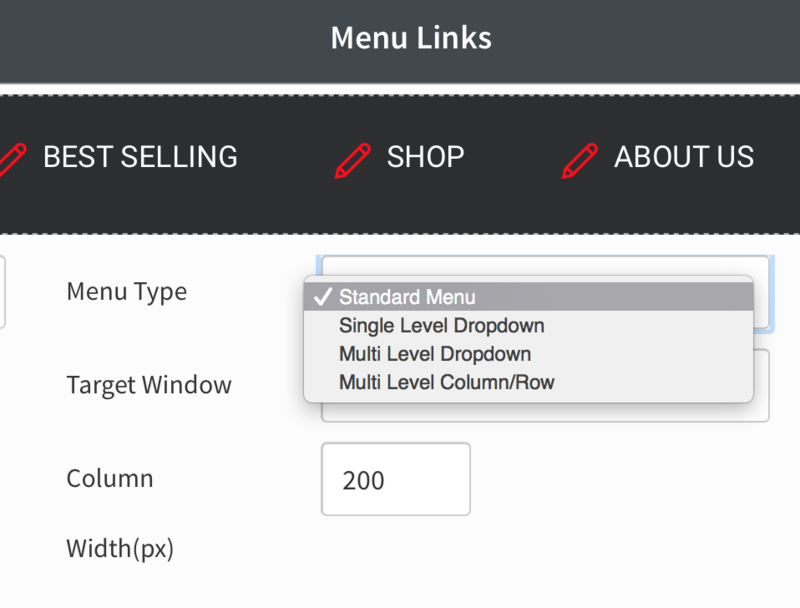 Choose between Standard Menu, Single Level Dropdown, Multi Level Dropdown, and Multi Level Column/Row. 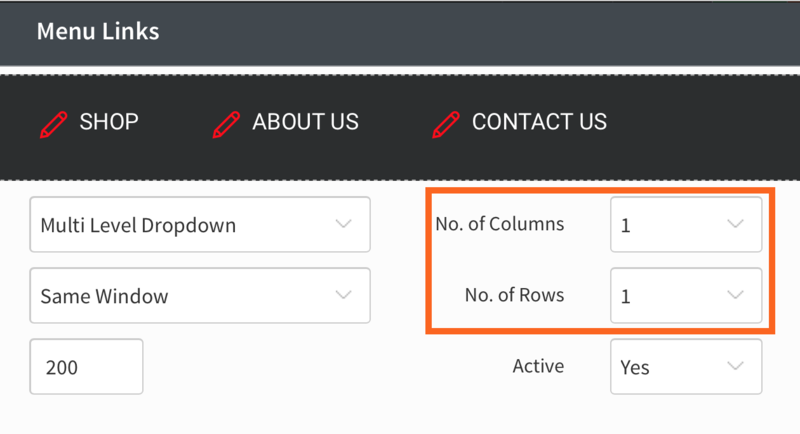 For Single Level Dropdown, Multi Level Dropdown, and Multi Level Column/Row define a desired number of Columns/Rows. 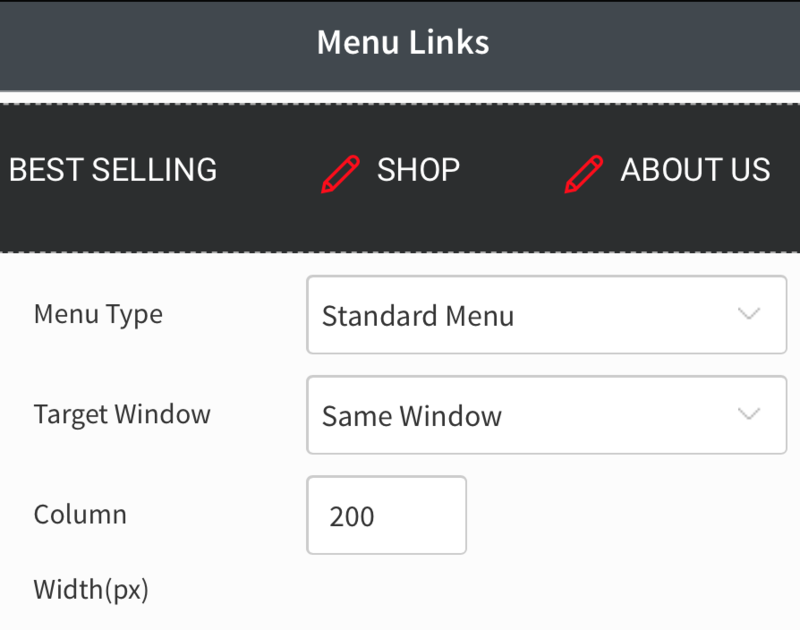 Choose whether clicking on the menu will open a linked page in the Same Window or New Window. 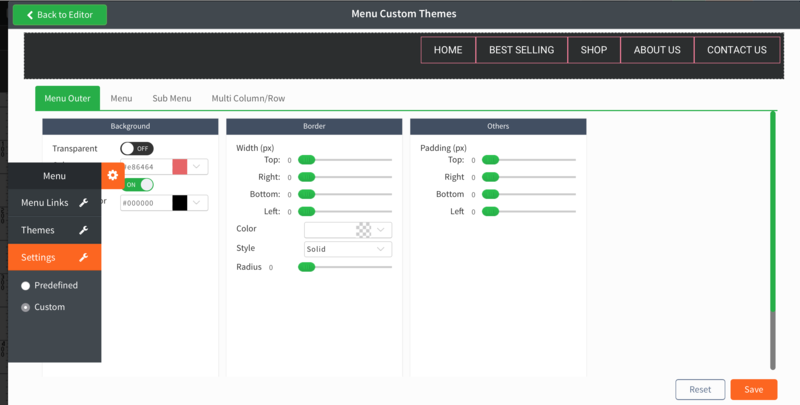 Set the width of the menu column. Click to finish adding a new menu. Menu Themes allows to enable/disable mobile app style for your menu and cotnrol its look and feel. Additionally, menu alignment and position, and submenu effects can be controlled here. 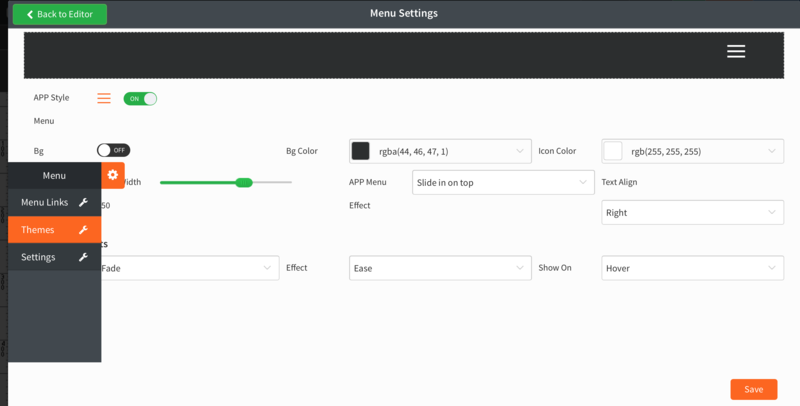 Menu Settings allows to define the look and feel of the menu by picking a predefined theme or use extensive customization tools.